Colorful and Bright Ice Cream Party! Before summer comes to an official end be sure to throw one more party! 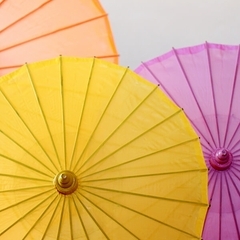 Just Artifacts has everything you need to host a colorful and bright ice cream party! Ice cream parties are so much fun because each guest can customize their own ice cream treat however they like it, all you have to do is supply the toppings and ice cream. As shown in today's post you can also help your guests with some ideas of creating the perfect treat. Have you seen the new fry boxes we're carrying? 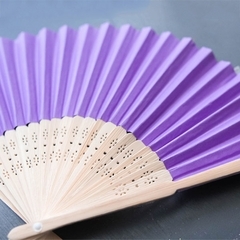 There are so many fun uses for them that we just can't get enough of them. For today's party we laid one down for quick spoon grabbing. We forgot to place some party napkins out as well, but keep them close by for all the ice cream drips you may encounter. Keep the ice cream cups stacked by the ice cream for your guests to serve themselves or have someone on hand to do the scooping for everyone else. It probably depends on the average age of your party guests. 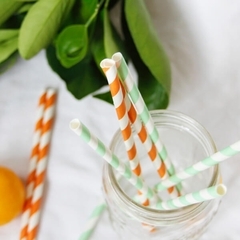 Use a popcorn box to store your favorite colorful paper straws in. Keep it close to your drinks and party cups. One of the most fun parts of putting this party together was coming up with ice cream topping combinations. We picked five different combinations and displayed them with some matching washi tapes. By doing this we were able to determine the toppings to get and it gave the guests somewhere to start. There are just so many options! 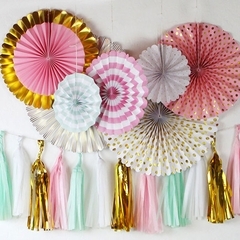 Bring all your favorite colors together with a colorful tassel garland. 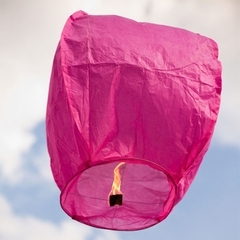 Tissue poms and paper lanterns will also look great with this set up. Don't forget to serve on up for yourself before all the ice cream is gone! So what are you waiting for?!? Grab your favorite ice cream party supplies today and plan your party before the sun starts setting too early and the weather cools off too low! Enjoy every last minute of summer while you can! What else would you add for toppings? Do you have a favorite blend of toppings you like? Are you excited for summer to end or would you prefer it to be summer all year long? The only way to survive planning a wedding is to have your best friends right along with you for each step of the way. Take a moment to tell them how much you appreciate them by throwing a little brunch in their honor. Today we have a cheerful little party set up that will bring out the best in your favorite girls. Nothing is more cheerful than purple and yellow and today we have combined the two for a charming tablescape. Just Artifacts has everything you need for your upcoming party! We set up the table by a big window to let in lots of natural light. We hung up some white paper lanterns to cozy up the space a bit. We also added some fresh greenery to liven up the space. The burlap table runner ties in the organic feel of the setting. These polka dot napkins are so fun because they are two toned. One side is yellow with white polka dots and one side is white with yellow polka dots. We did a simple triangle fold and alternated the colors that were showing before displaying them on the plates. They just add a little bit of fun to the table. You can use the name tags to write little personal thank you notes to each of your friends. We also used paper plates, wooden cutlery, paper cups, and paper straws! Fill the ice cream cups with little candies, mints, or nuts. This gives your guests something to snack on before or after the meal to satisfy a little sweet tooth or craving. We went with polka dots and chevron in purple and yellow and I love how it turned out! We added some lanterns to the table as well to add some dimension to the table. Just Artifacts has a vast supply of candles to fit any need you may have. So what do you think? Does this inspire you to have a little party for all the girls in your life? This would be fun for breakfast, brunch, lunch, dinner, midnight snack....you name it! Do you like the purple and yellow together? What about the chevron and polkadots? What would you add or take away? Inspiration comes from all around us and today's party was inspired by last night's BBQ. Watermelon is a perfect summer snack or addition to any summer meal. Today's party inspiration is brought to you by the one and only! Just Artifacts has everything you need to host your own fun watermelon party (except the watermelons of course!). Once we chose the theme we started with the tassel garland. 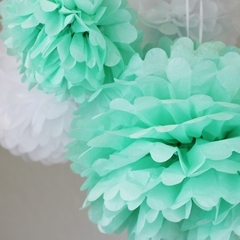 We chose the colors for the tassel and then went from there with bright pink and mint green. White and silver make perfect accent colors. 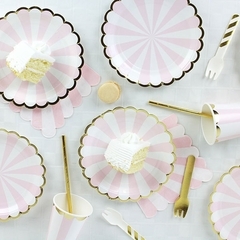 Throughout the rest of the tableware we chose to stick with polka dots, stripes, and chevron patterns. Once we picked our theme and colors the hard part was done and the rest came together perfectly. To add some flare to the table we used a paper fan and some crowns. This helps with the overall color scheme and adds some more dimension to the overall setting. 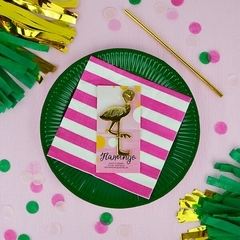 We grabbed some paper plates, wooden cutlery, popcorn boxes, treat bags sealed with washi tape and ice cream cups, perfect and ready to serve whatever delicious treats you'll be whisking up at your party! We followed a polkadot theme with the drinks. We covered the drink stand with pink polka dot paper. We used pink polka dot paper party cups. We used pink polka dot and solid green paper straws with pink polka dot washi tape flags. What can we say?!? We like pink polka dots! We even used a pink polka dot table cloth! We put the jar of straws on top of an ice cream cup. The reason is because when you are putting together your buffet table you will want to put things at different heights to add more visual intrigue. Don't be afraid to play with different heights and placements on your table. A watermelon themed party would be so much fun for a little girls birthday, a bridal shower, a baby shower, or just for fun! What is your most inspiring fruit? Do you like the pink and green we chose or would you prefer classic red and green? Be sure to check us out on Pinterest for even more ideas and inspiration! 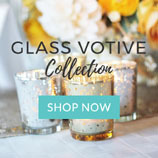 Wedding season is upon us and we're excited to share a DIY project to add to your upcoming celebration. The table decor at a wedding dinner says a lot about who you are as the couple. 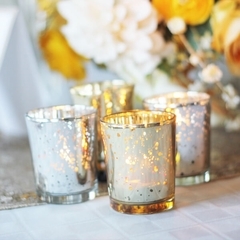 This is a great opportunity to let your guests take a glimpse at your more creative side. Table numbers can be so unique and personalized and we hope to give you a little boost of inspiration for your big day. The first thing you can do in advance is to make the numbers. We are using a square vase so we decided to stick with square numbers to go along with that. The outside squares are a cream color and are cut 4.5" x 4.5". The flower patterned squares we're using are cut 4" x 4". The numbers we cut out are about 3" tall and we're using the same colored paper as the bigger squares. Cut out two of each number. Paste each number on the smaller square, then paste each smaller square on the bigger square. Once you have two sets ready to go, you will tape the straw onto the back of one and then paste the two backs together with the straw between them. The day before or the morning of the wedding you can get your flowers ready. First you will pour your river pebbles into the bottom of your vase. This will give your straw something to hold it up. Now you cut and position your flowers and place them in your vase as well. You will want to position the flowers somewhat low in order for your number to stand out more. Don't forget water. Now your numbers and your flowers are ready and the tables are ready to be set. Position your vase of flowers where you want them on the table and stick the number right in the middle of them, using the pebbles to keep it from tipping over. Now enjoy! 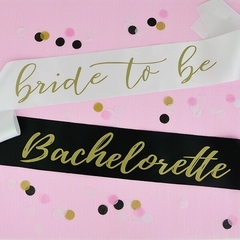 Are you planning to do your own projects for your wedding? 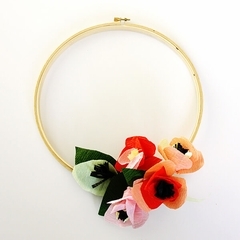 Would you use floral patterened paper or something else? What is your favorite part of weddings? The temperature is rising and cactus are making their big debut this summer. Whether or not you live in the desert we're sure you've been surrounded by cacti this year. Today's tutorial will bring the desert right to your party (and hopefully some nice warm weather to go with it). Take your paper and cut out various cactus and sun shapes. You can find other patterns as well like maybe a coyote?!? We cut these free hand, but if you're not comfortable cutting free hand we're sure you can find a stencil somewhere. For the suns we cut some perfectly round and others more angular, we still can't decide which ones we like more so why not do both! Once your shapes are cut out use glue to attach the google eyes. It's amazing what some little eyes will do for your cactus. Make them all the same or make them all different, it'll be fun either way. Using your tape, attach the suns and cactus to your straws. If you've made enough you can also tape them to popcorn boxes, snack bags, or any other decorations you have. Finish off the party with some succulents scattered around, just be sure to keep the pokey ones out of reach of curious little people. Add your favorite cool beverage or snack of choice and you're set to go! Do you like how these turned out? Aren't the eyes fun? 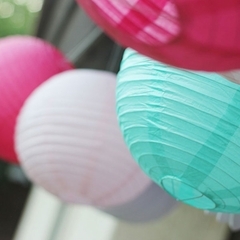 Are you having a fun summer party this year? Do you have any other ideas for incorporating cactus into your parties. Do you live in the desert? If so are you sick of cactus or do you love this trend? 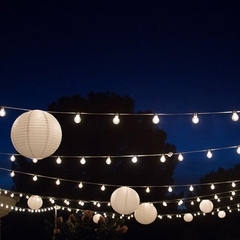 We'd love to hear about all your fun summer party plans this year. 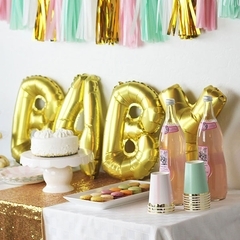 Be sure to find us on pinterest for even more fun party ideas! Have a happy and safe 4th of July weekend!